For the event FUTURE CITY at MAK Vienna, I invited three creatives to collaborate and show perspectives for the future of cities. I asked: In the not too distant future, how will we get from home to work? How will we dress and express ourselves? How will we nourish ourselves? In 2030, there will be 49 megacities with a population of over 10 million each. By 2050, there will be 9.8 billion people on the planet, and 2 out of 3 will live in cities. Current modes of transport with predominantly fossil-fuel driven private cars are unsustainable and will not be able to process the increased transportation requirements of the future. 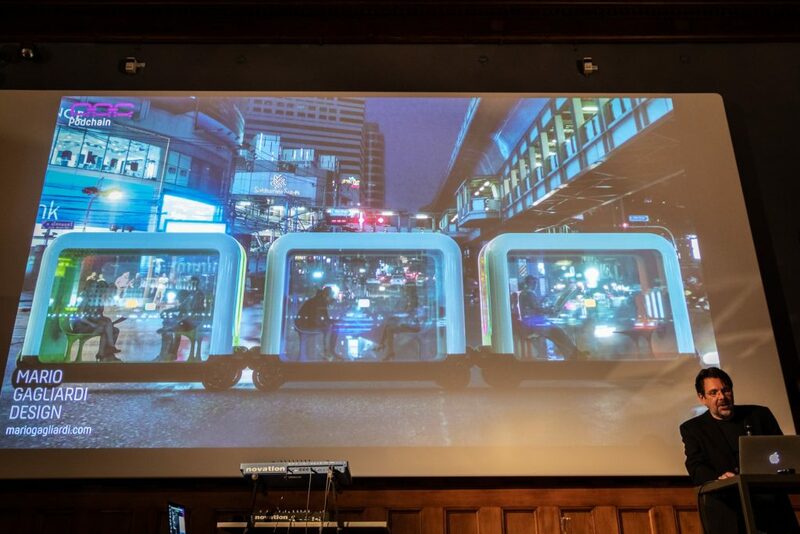 Architect Sachin Anshuman from Arup made a case for seamlessly integrated, flexible and ecological public transport. I presented a design study for sustainable autonomous transport. If 50% of surface transport in the US would be autonomous, each year there would be 1.9 million less car crashes and 9.600 lives would be saved. Current private cars are used only 5% of their time; one shared autonomous pod could replace 10 private fossil-fuel driven vehicles. The fashion industry is not only influential in affecting our behavior, attitudes, and the way we interact with others. It is currently also the world’s second largest polluter after the oil industry. We need a new vision for the fashion industry. Fashion artist Noki is a pioneer in sustainable fashion upcycling, making his creations exclusively from textiles which had been thrown away and which otherwise would end up in landfills. Food is the number one external factor for our health and well-being. Artist Kristiane Kegelmann works with organic ingredients in the public space, inviting participants to interact with her sculptures in order to create awareness on sustainable food and nourishment. 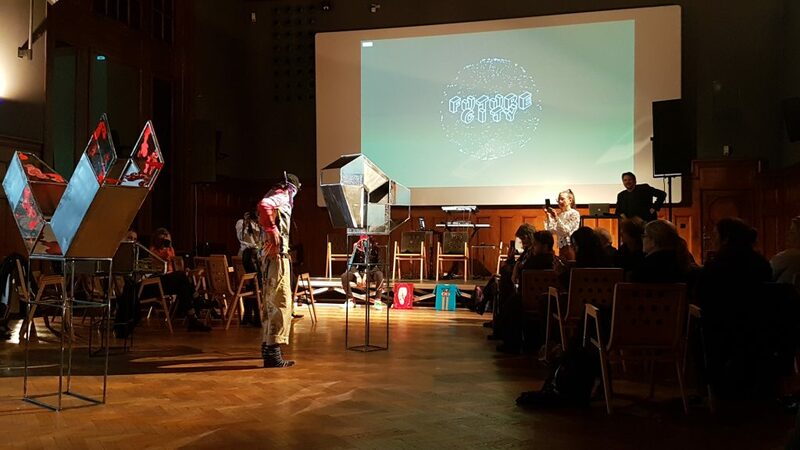 We created a performance with fashion by Dr Noki and sculptures by Kristiane Kegelmann to illustrate food and fashion of the future. In fashion, we have to move from conspicuous consumption to conscious clothing. In food, we have to offer new modes for sustainable, yet enjoyable nourishment. In transportation, our mode of thinking has to change from ownership to usership.